This new home exchange weblog is announced for the first time in the Oct/Nov issue of the newsletter, sent to Home Base Holidays members and subscribers today. Let's hope we get some visitors and feedback on the blog! As usual there was more than enough copy to fill the newsletter. It is published on the website today as well so check it out if you haven't already received it by email. Unfortunately there are always a number of copies that don't get delivered, for lots of reasons - incorrect or out of date email addresses, spam filters, full mailboxes, etc, etc. That's the advantage of the weblog - it's not dependent on email for delivery but rather is just here whenever you want to check for updates or leave a comment! How Would You Like a FREE Holiday in India? Many of you who are members of Home Base Holidays or subscribe to Home Swappers Newsletter will know that from time to time we have published requests from the UK production company, Maverick TV, for members willing to be filmed while on an exchange for the Channel 4 TV series, 'Home from Home'. The new series will, for the first time, be shown on primetime TV, probably in December or early January. The big news is that, unlike with previous series' that were broadcast in the afternoon, Maverick has a bigger budget and so are able to pay for participants' flights and cover some expenses. Since swapping homes cuts out the cost of accommodation anyway, taking part in a 'Home from Home' programme should give some lucky families a truly low cost holiday abroad! I am currently looking into finding members in the UK who would be interested in swapping homes with a family in India and being filmed while on the exchange for 'Home from Home'. We have already found three potential families in India who would be interested in taking part (2 in Bombay, 1 in Kerala). I am very keen to find a family in the UK who would like to make the most of such a fantastic opportunity. We are thinking of doing the swap in the last two weeks of October. Naturally we want to ensure that both families have the best time possible and will encourage those chosen to be in contact and view each other's homes on the internet before the exchange takes place. Ideally, the UK family will have older children (11+). As there is not much time to arrange this exchange, please contact Lois at Home Base Holidays who will forward your message to me. Note: it would be helpful if you include your User ID in your message so that Anshu can easily find your listing on the site. I wonder about using this (the weblog) as a means to find out tourist info on locations – get the locals view points on why you should visit their area? A bit more that the details that you hold against the property? I am always searching the net to get more details on prospective swap areas. Most times you want to do this before responding to home exchange offers as I wouldn’t want to get someone’s hopes up on an exchange unless I thought the area was interesting. This would allow travel buffs like me to write a piece about my area with links to other tourist sites. We have just received an offer for an exchange to Canada for next year that I am hoping will work out. I just love this – you never know where you can end up. I wish I could work less and holiday more – but then don’t we all. Now, hopefully, Kim will soon share some useful information and links for some of the many attractions near her home in Scotland! Note to Home Base Holidays members: anyone can add a comment to this post but, if you would like to provide information on your local area to persuade others that your home is in a great location to visit, please send your short article (and links to any useful tourist websites) to me, with the message subject, 'Weblog Post'. I will add a new post for you under this category with an appropriate title to draw attention to your area and exchange offer. 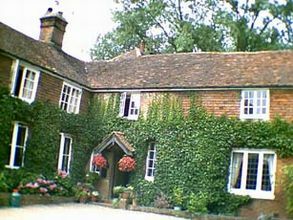 Our home is a 16th Century Manor House set in the heart of Kent, 10 minutes drive from Sevenoaks, a traditional Kentish Village. Trains to London regularly - 40 minutes to London Bridge. Peaceful setting with extensive grounds, own tennis court. Four Poster Bedroom with ensuite facilities. Log fires, oak beams. Philpots Manor is reputed to be part of Anne Boleyn's estate, Hever Castle, her childhood home, being only a short distance away in Edenbridge. House dates back to Elizabethan times when John Philpot, Lord Mayor of London was bowmaker to Queen Elizabeth l. House is tastefully decorated with 5 bedroom on one floor, three with ensuite bathrooms. There are four reception rooms and a heavily beamed dining room. Weddings are normally conducted here so we have ample catering facilites with a fully equipped kitchen. Laundry room contains washing/drying facilites and a separate office with computer/printer. Gardener lives in nearby cottage. Regular cleaning can be arranged. Wonderful walks and places to visit, seaside is approximately 45 minutes away. Local shopping facilites. Rural and peaceful setting yet convenient for Sevenoaks, 3 miles away or Tonbridge with its famous castle only 4 miles away. My husband and I will be bringing our two girls, aged 14 and 16 (however they look and act around 25). They will be accompanying us in order to celebrate our other daughter's 21st birthday in New York. She is attending art school there as a result of an exchange she has made with Chelsea College of Art and Design in London. Our home is normally used for Civil Wedding Ceremonies, but we have a spare week in October and would like to exchange with someone in Manhattan for a well earned break. We have exchanged at least 3 times before and had a wonderful time on each occasion. If you are a Home Base Holidays member with a home in New York City to swap, log on to your member area to view this listing by the User ID, HE15579 to contact the member directly. Not yet a member of Home Base Holidays? Please contact us if this offer is of interest to you. Although thankfully it happens very rarely, there can be occasions when one party to an agreed home swap has to cancel the agreement, usually because of family health problems or changed circumstances. If an exchange has to be cancelled at the last minute or after exchange partners have already bought air tickets, this can cause problems if the original exchange partner can't help with accommodation (most members will do their best to help, sometimes finding friends able to accommodate them). Edwardian home located in San Francisco's Pacific Heights neighborhood. Our home is extremely close to neighborhood shopping streets such as Union, Fillmore and Polk Streets. Five minutes from downtown by car or a twenty minute walk. On the ground floor is the garage, laundry area and nanny's room with her own bathroom. 2nd floor: consists of the foyer, living room, formal dining room and kitchen with a banquet table for eating. The kitchen is state of art. A small back deck is located off the kitchen with a bar be que. 3rd Floor: consists of a master bedroom suite w/ bath. Separate shower and claw foot tub in a tasteful white marble. The bed is queen sized. A walkin closet/ Childs room & Office. 3 Bedrooms on 4rd floor. If you are already a member of Home Base Holidays and live in London or nearby and are interested in the possibility of taking up this exchange offer in San Francisco, log on to view the listing by the User ID, HE13247 and contact the member directly. Not yet a member of Home Base Holidays? Contact us if you may be able to consider this offer. This category of the weblog will be used to draw attention to recent exchange listings that are special in some way (in my opinion! ), whether the location or the home itself. It will also be a good way to give some extra publicity to exchange offers when Home Base Holidays members are short on time before the dates an exchange is wanted or the exchange location needed is very specific. New build house in acre of enclosed garden. Remote west highland harbour setting, crofting township set in stunning highland scenery. 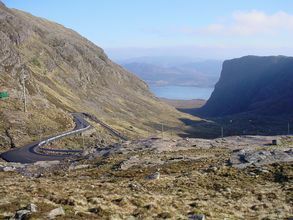 Unlimited walking, climbing and outdoor activities in unspoilt Applecross mountains. This is a small self sufficient seaward village (pop.200) accessed by one of the highest public roads in Britain (2053ft), where you can buy langoustine, crab and lobster direct from the local fishermen. A short walk above the house gives unrivalled views to the Isle of Skye and the Hebrides. 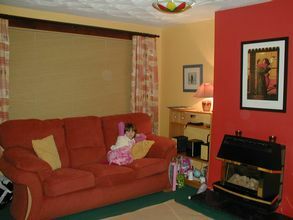 A combination of an open fire and underfloor heating give a homely feel to this high quality family house. Applecross village has a well stocked general store, lively pub and family restaurant. 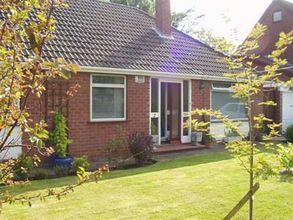 Members of Home Base Holidays can view the full listing and contact this new member with an exchange offer by logging on and searching by the User ID, HE15731.